Chargers quarterback Philip Rivers concurred with Turner, adding, “We saw him do it late in the year last year, but he had yet to really get going a lot this year. He had a really good game, probably his best game since he’s been here. Just the way he played overall — the run game, knowing all his assignments. 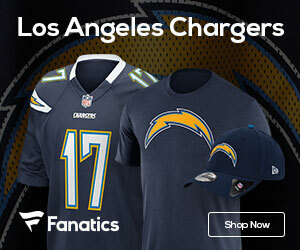 I think for the passing game, that was a big step.” Jackson aims to do his part in helping the Chargers return to their high-octane offense of old. The Chargers face the Kansas City Chiefs Sunday, which should provide a stern test for the Chargers’ offense once again. The Chiefs are limited offensively, but their defense is ranked 7th overall. A collective effort by tight end Antonio Gates, Rivers, and most definitely Jackson will be necessary for the Bolts to even their record at 2-2.